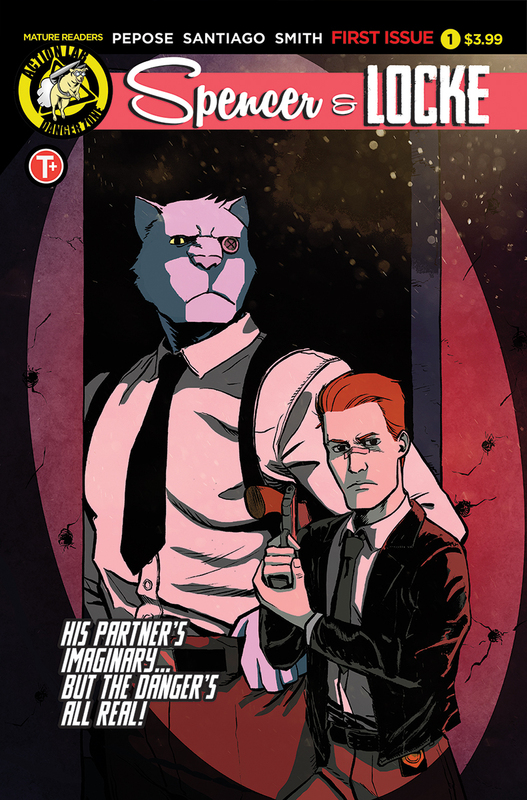 PREVIEW: 'Spencer and Locke' #1 by David Pepose and Jorge Santiago, Jr.
What if Calvin & Hobbes grew up in Sin City? 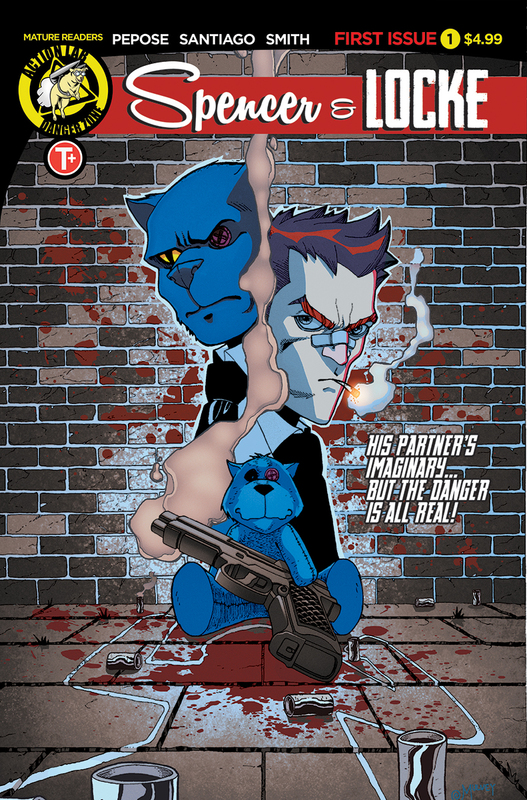 Find out in SPENCER & LOCKE, a dark four-issue crime thriller from Action Lab Entertainment’s Danger Zone imprint. 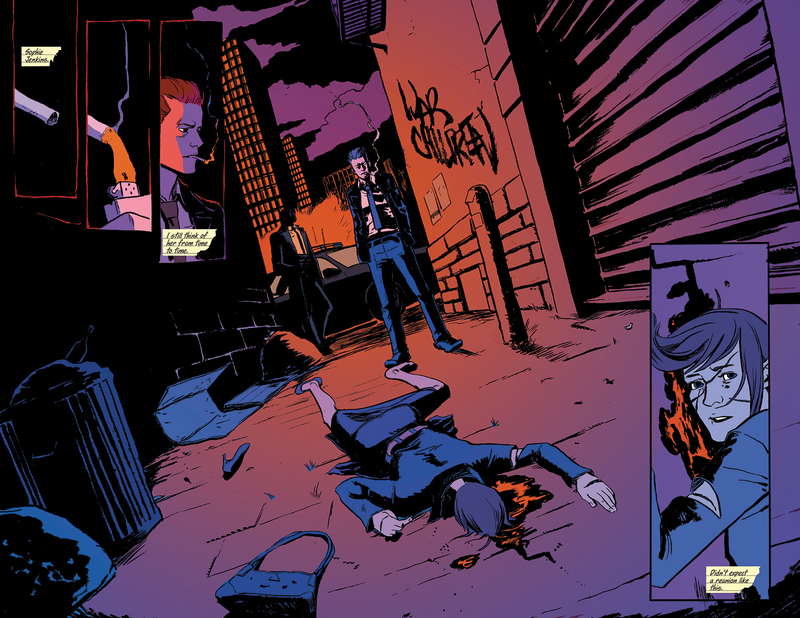 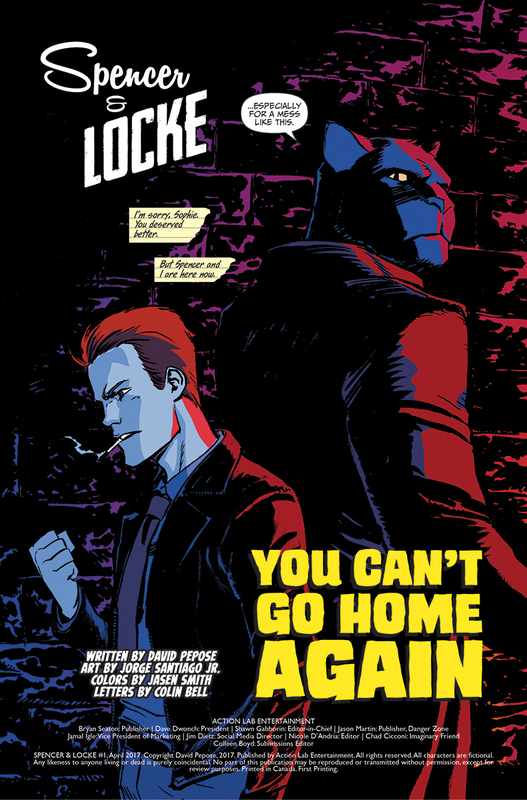 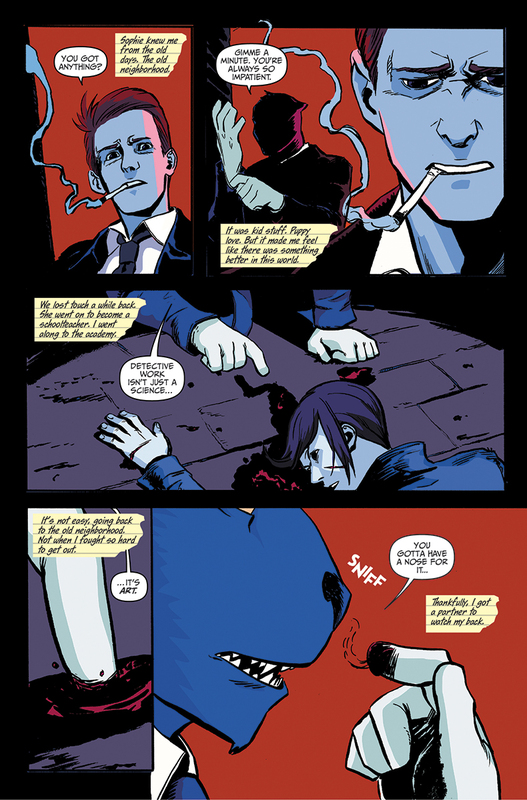 Written by David Pepose and illustrated by Jorge Santiago, Jr., SPENCER & LOCKE follows Detective Locke, who returns to the scene of his horrific upbringing when his grade-school sweetheart, Sophie Jenkins, is found dead in a lonesome back alley. 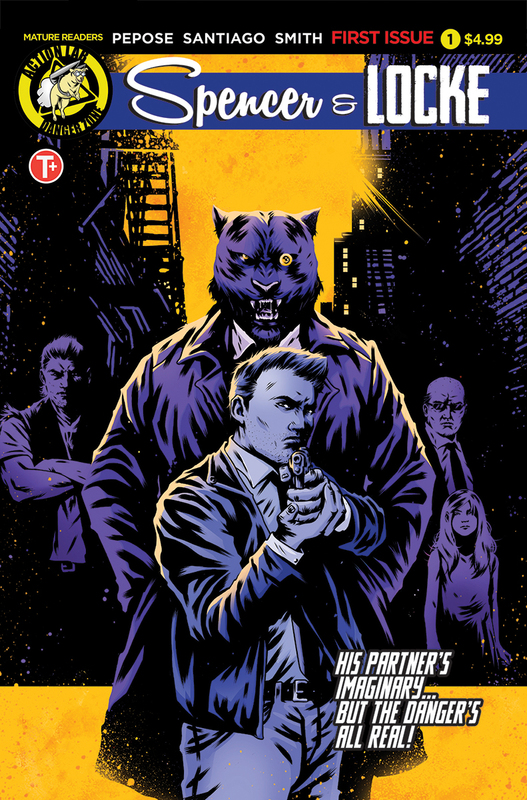 But when Locke’s investigation dredges up menacing figures from his traumatic past, there’s only one person he can trust to help him close the case — his childhood imaginary panther, Spencer. 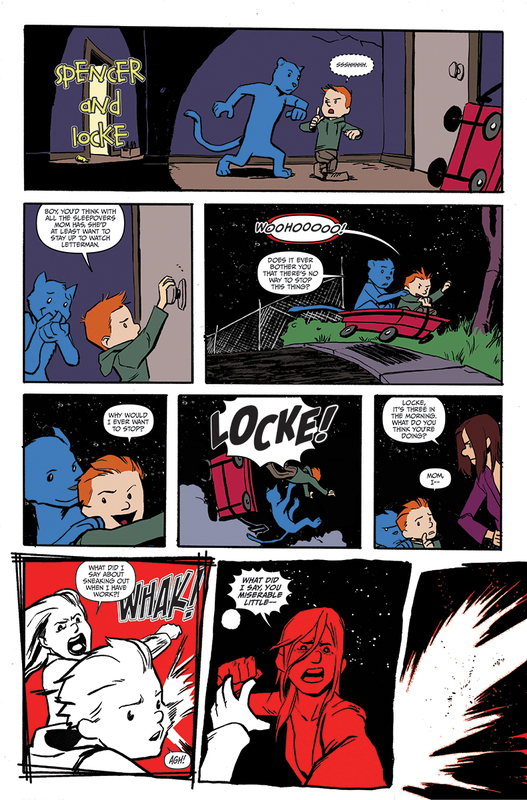 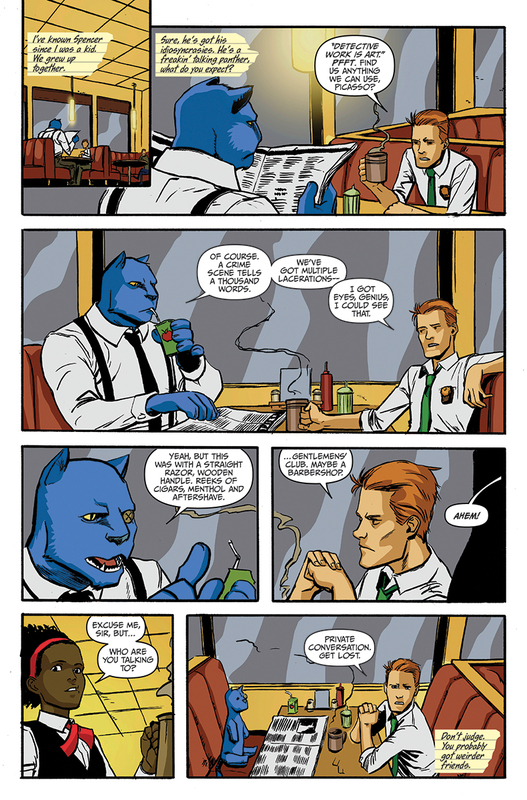 The twisted nostalgia of SPENCER & LOCKE comes to comic shops and digital devices April 12!